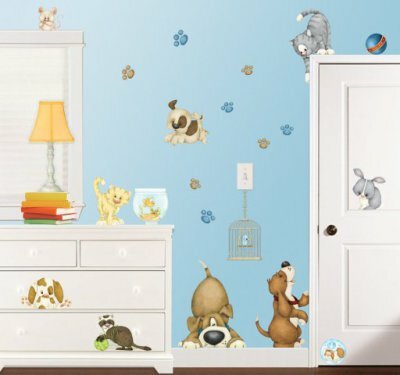 These adorable pet-themed wall decals are a perfect way to bring a child's animal-theme bedroom to life! Large dog and cat decals can be arranged to peek out from behind furniture for a fun and interactive look. The animals are all different sizes, and pawprints, bals, and a guinea pig add to the brightness and the fun! For more information about the pet animal wall decals, click here. This Cat Is Not Enjoying Taco Day! The BONUS Animal Video Of The Day!! !